Chianciano Terme is word renowned for being one of the most important thermal resorts in Italy. Its territory borders another region of Belpaese, Umbria, and is located halfway between Valdichiana and Val d’Orcia, at an easy driving distance from Siena and Florence. Thanks to its position, Chianciano Terme is the perfect location for visiting many interisting tourist destinations of Tuscany: Val d’Orcia, classified by Unesco as World Heritage Site, Montepulciano with its noble wines, which is just a few steps away, and Pienza, with its tasty food specialities (like the famous pecorino from Pienza) and its artistic beauty. And if you’ve already appreciated Tuscany and its treasures, both natural and architectural, from Chianciano you’ve the possibility to reach Umbria, which is usually referred to as the green heart of our Belpaese...Does the name rouse enough your curiosity? We still don’t have mentioned Florence and Siena, but it goes without saying you must visit them if you haven’t already done it! Chianciano Terme is considered the finest thermal resort in Italy for both its tourist organization and natural, curative thermal sources. Besides the spas of highest importance, like Acquasanta, Acqua Fucoli, Acqua Sillene and Acqua Sant’Elena, there are the homonimous beautiful parks (hosting the mentioned spas) and sevaral hotels for welcoming all thermal tourists arriving every year. 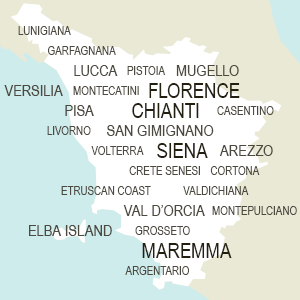 Have a look at our accommodation list in Chianciano Terme and start now to enjoy your thermal holiday in Tuscany!